One of the industrial partners that our students working with are City-Insights. 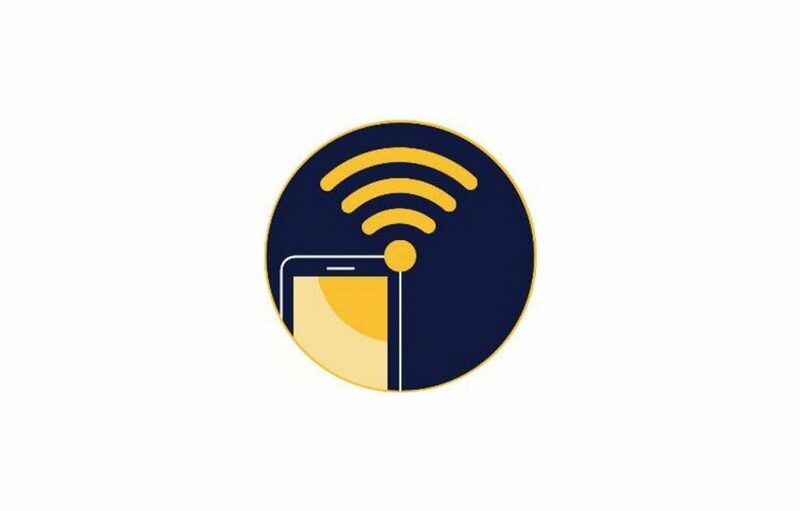 The company has developed a mobile internet platform delivering a location based user experience. As part of the Collaborative Project module, students were asked to look at the platform and explore its function as a digital place maker in areas of London. As part of the City-Insights project, students were taken on a ‘tour’ by Professor aladin aladin of Hackney Wick and the Olympic Park areas. The aim of the tour was to explore and discover the ordinary and the invisible, to identify unique patterns and languages of the two areas that are not readily seen. 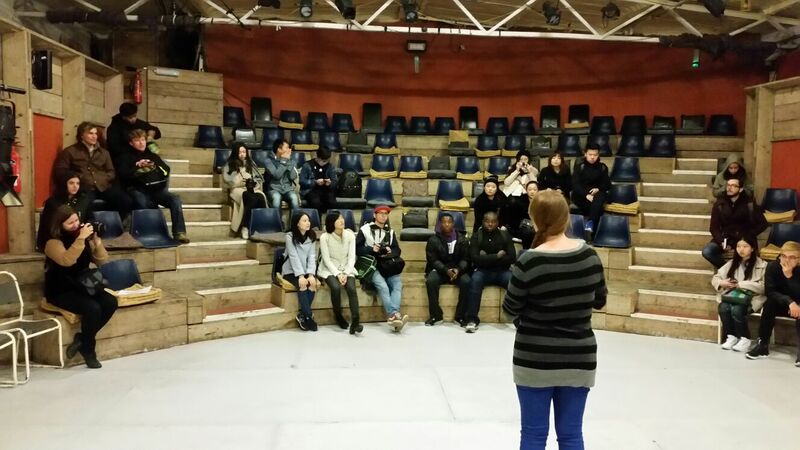 Unexpectedly, as part of the tour the group were invited to the local theatre, where they learned how this local theatre seeks to merge the old Hackney Wick and the new developments of the Olympic park. 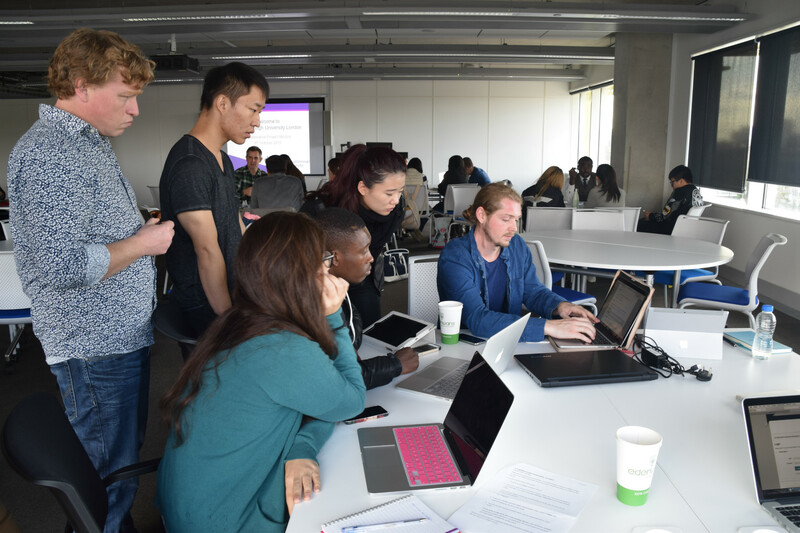 The students will be using their knowledge to develop opportunities for City-Insights platform and the ‘digital placemaking’. 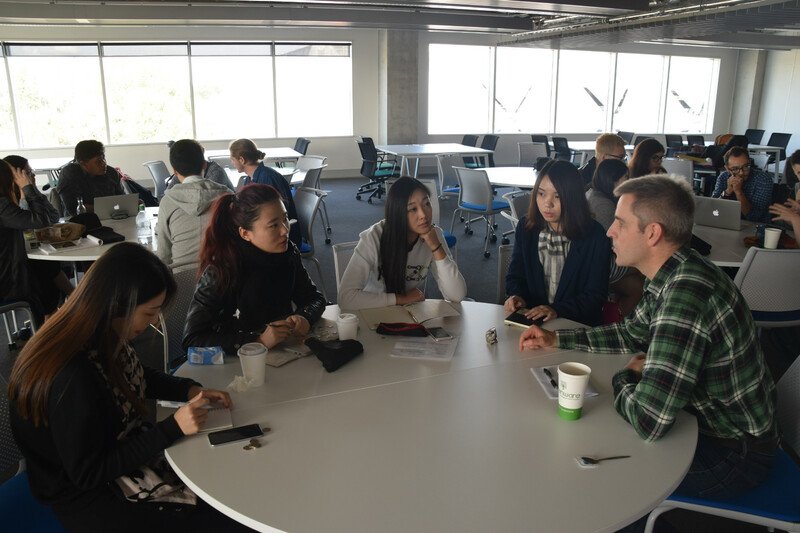 Mark Woods, one of the Founding Directors of City-Insights meeting with the students to discuss the project brief. Pete Gardom, Content Developer and Researcher at City-Insights, shows students how the mobile platform functions. 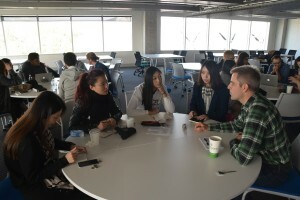 City Insights have also shared their experience of meeting our students in their blog. This project pushes students to look deeply at the places they inhabit, pass through, igmore or actively avoid to determine the causes and effects of their ‘sense of place’. By collaborating with City-Insights, industry leaders in digital placemaking, the students will have the chance to engage with a truly emerging and future-thinking industry to produce potentially actionable results. 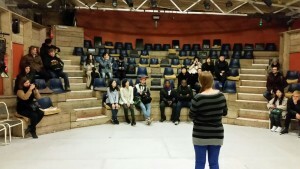 Students visiting the local theatre in Hackney Wick. 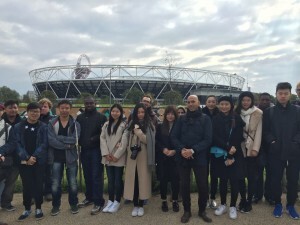 Students were taken on a tour of Hackney Wick and the Queen Elizabeth Olympic Park by Profesor aladin aladin.